Injuries are part and parcel of any professional athlete’s career. They can come at the most inopportune time – Olympians for instance, snapping a bone or tearing a muscle just months out from “the Games” – four years down the drain, just like that. How an athlete handles that adversity, often determines their future prospects, once they’ve walked that long and potentially lonely road to recovery. 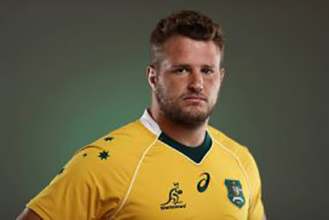 For Wallaby prop James Slipper, the serious Achilles injury that he suffered at the beginning of 2017, shaped as the most bitter of blows – a waste of an entire season. But after a couple of days wallowing in self pity, the 28 year-old Reds captain “elected” to turn the injury – and the season on the sideline – into a positive. “It wasn’t easy initially – lumbering around on crutches, unable even to carry my morning coffee,” Slipper told the audience recently at a Marsh Tincknell boardroom breakfast. “But over time, I convinced myself – this is a good thing. I could get back into study, and I’d have a whole year to let my body rejuvenate. When you’re playing all year round, as we do in the modern era, there’s always injury niggles – some of them pretty serious. Being forced to sit out the entire season permits you to clean the slate and start again. The importance of a positive mindset was just one of many powerful insights the small group of clients gleaned from listening to the affable prop, who has now clocked up more than 80 Tests for the Wallabies and almost 100 games for his beloved Queensland Reds. Among the other takeaways the breakfast discussion – the importance investing time in others, and getting to know them at a level well removed from the football field. This became even more important, Slipper said, when he was appointed team captain, particularly given the youth of the Reds squad at the time.